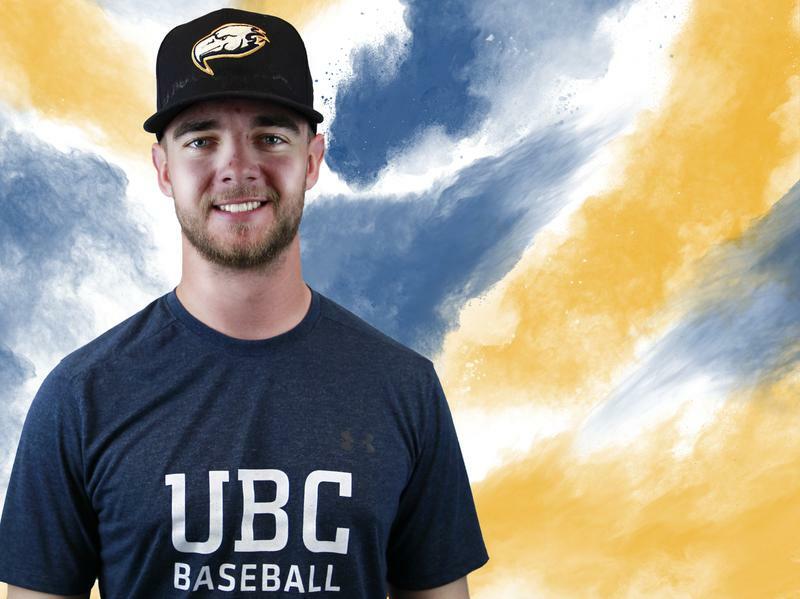 Jaxon Valcke is in his sophomore season with the UBC Thunderbirds baseball team. Just one year removed from being a rookie that broke into the starting lineup, the infielder/outfielder already finds himself a veteran face among a young crew and a core centrepiece of the team’s batting order. The product of St. Mary’s, Ontario had a stellar rookie season with the ’Birds. As a regular starter, he batted 0.245 and was in the top five on the team in hits, runs batted in (RBIs) and total bases. In his return to the field this year, however, Valcke’s play is noticeably different. With a year of experience behind him, he finds himself more comfortable in his approach to the game. Valcke’s new-look game extends beyond the plate, too. This year’s campaign comes following a whirlwind of an offseason that saw the departure of nearly a third of UBC's roster. Although he has played a pivotal role on the field, Valcke doesn’t see himself as a standout in the locker room. Despite the huge roster turnover, Valcke and the Thunderbirds find themselves on a nine-game win-streak, and they entered their bye-week atop the Cascade Collegiate Conference (CCC) standings. For Valcke, much of their success in the early-goings of the year can be attributed to the players that were leaders to him last season. Though Valcke remains ever-humble, there is no denying that he has been a powerhouse to start his National Association of Intercollegiate Athletics (NAIA) West season. He has put up otherworldly numbers in the month of March, slashing .389/.741/.404 and leading UBC with 21 hits, 7 doubles, 4 home runs and 16 RBIs. From the start of the season, he leads the CCC in slugging percentage and home runs and is top five in doubles, RBIs and total bases. Behind the powerful bat, Valcke has been an every-man for the ’Birds, finding himself penciled in across the infield, the outfield and in the designated hitter spot. But for him, there is comfort in the chaos. “If you hit, you’ll find your way into the lineup,” Valcke said. “I get why it might not work for everyone, but I kind of like bouncing around. Out of the mid-season break, Valcke will look to lead this UBC squad through a strong second half to their year. Following a season that saw the Thunderbirds achieve a NAIA Baseball Championship berth, the memories of playoff play on a national stage are still fresh in the minds of the team’s veterans, with hopes of taking their young core on another deep run. But for now, Valcke is focused on staying the course.